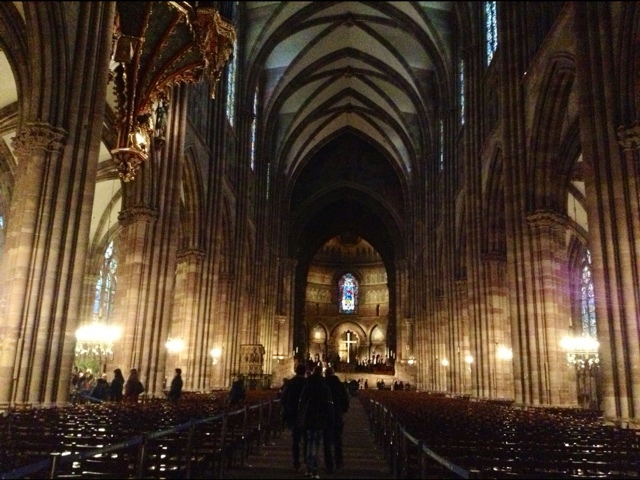 Friday I ran away to Strasbourg (just 2 hours from Paris on the TGV). I went looking for more artwork of Guy Untereiner. Admittedly he lives safely tucked away in the tiny town of Drulingen. 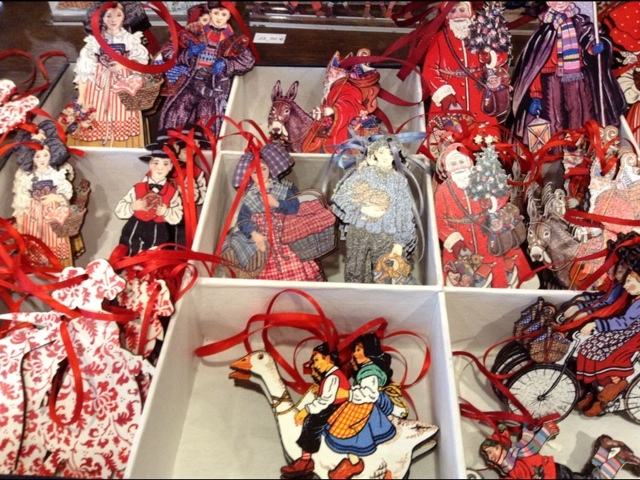 Maison Bossert (15, rue des Bouchers) has many of his Alsacien images made into tree decorations and whatnots, plus his latest Noel book. 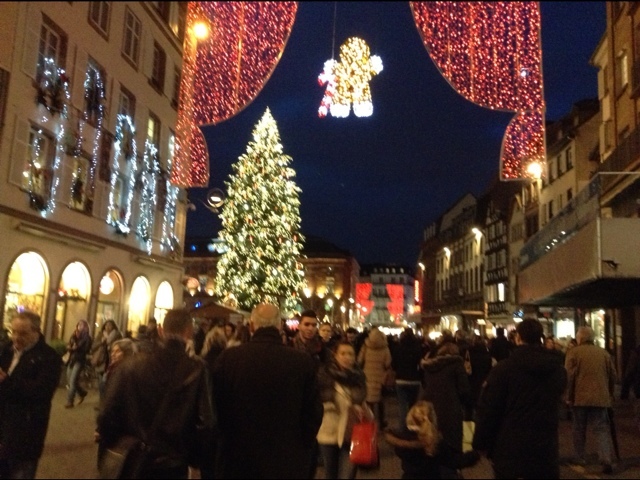 Admittedly I wanted to immerse myself into the biggest, oldest, first (1570) Christmas market in Europe. Like Amsterdam and Venice, Strasbourg is surrounded by waterways with connecting bridges. 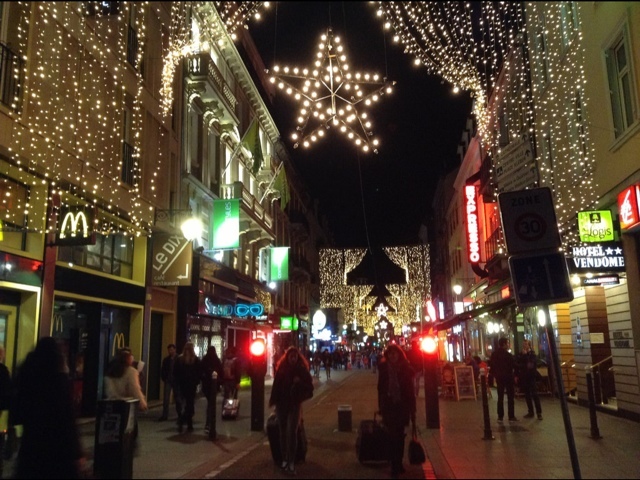 For Christmas the streets are all pedestrian - very relaxing to stroll around. Inside is jaw-dropping. The height of it! As soon as the lights go on people come out. A pleasant family crowd sipping their spiced wine (hot spiced apple juice for the tea totalers). 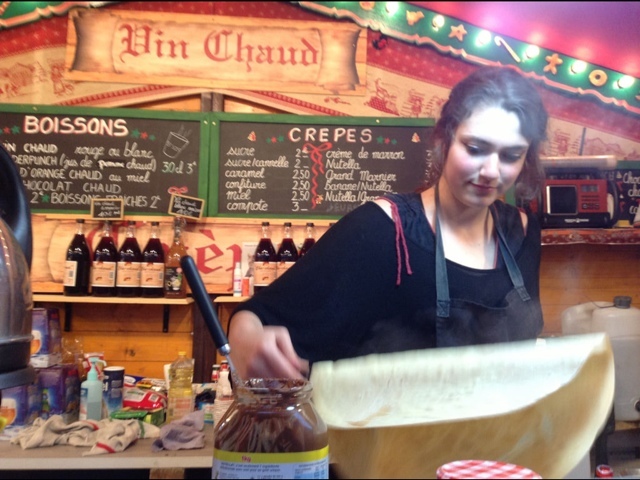 Plus giant cheesy pretzels, crepes, sausages sold at the 11 Christmas markets. 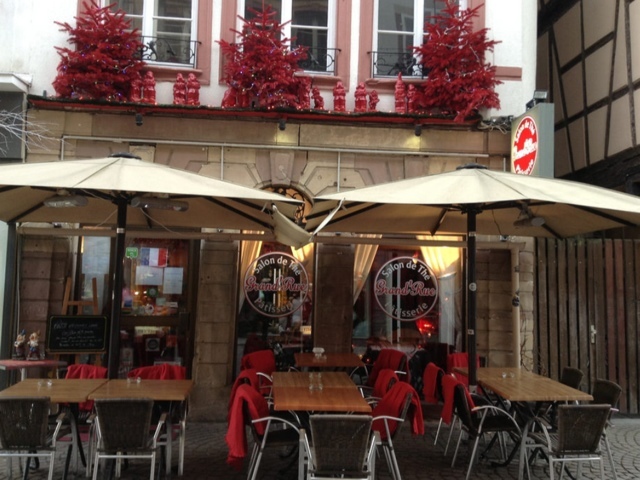 You'll never go hungry in Strasbourg. 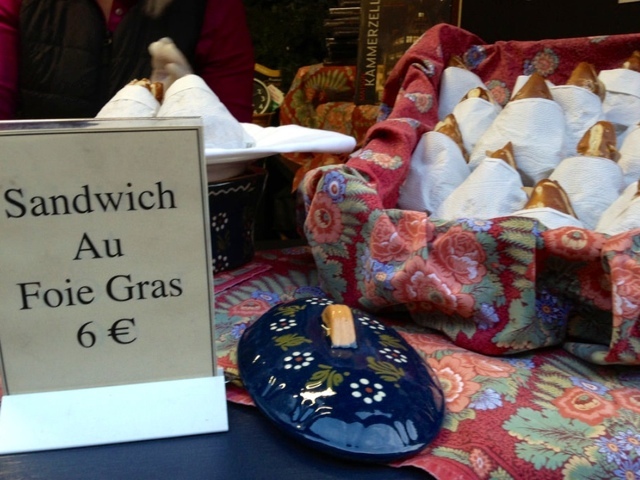 And foie gras sandwiches inside a pretzel bun. YUM! 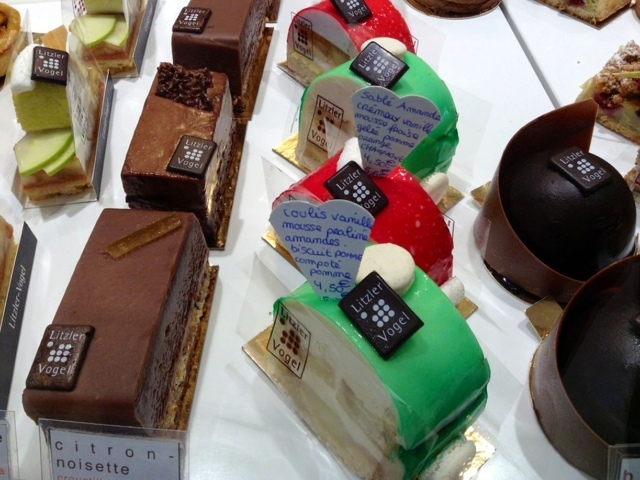 There are an endless number of patisseries and boulangeries in town. 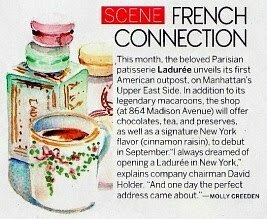 How did I miss this 'Citron Noisette'? I couldn't resist a crepe with sugar/cinnamon inside. Do you remember slathering butter/cinnamon/sugar on toast, then putting it under the broiler? 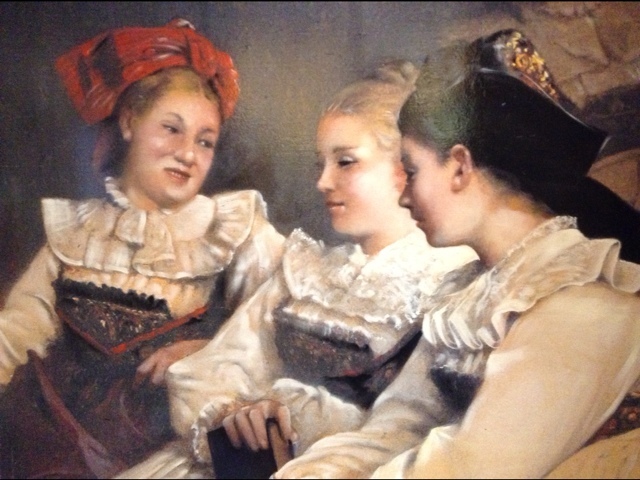 These Alsacien girls, painted on a nearby tea salon wall look a lot like the crepe lass don't you think? 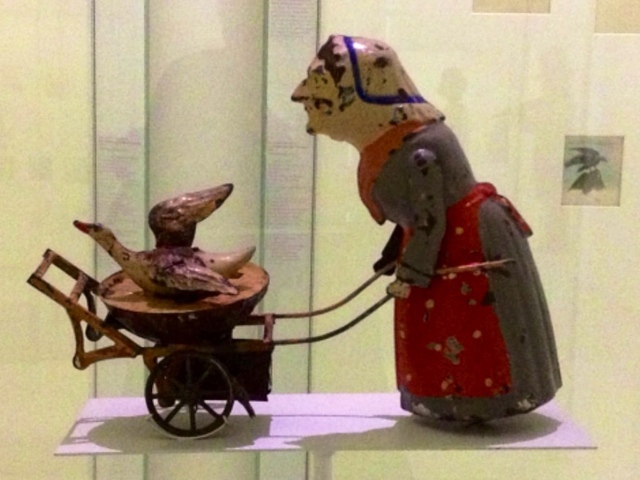 An Alsacien girl, a bit along in years, at the extraordinary Tomi Ungerer museum. 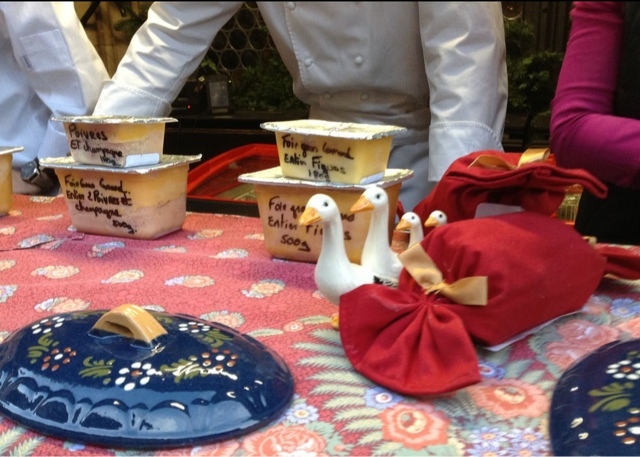 Anything with a duck on it and I'm hooked. I celebrated Christmas early this weekend and loved every minute of it. Arriving with no hotel - no problem. The tourist office at the station fixed me up quickly. This is an easy town to enjoy on your own and on foot. Don't miss it!! 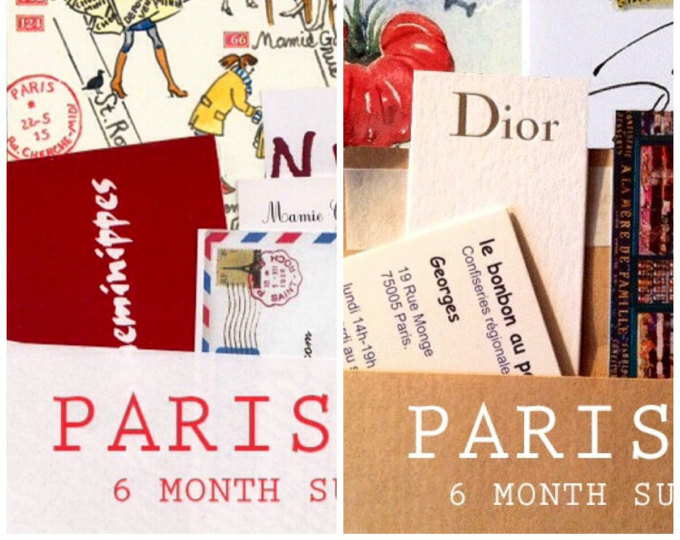 Now back to mailing out Paris Sketch letters. 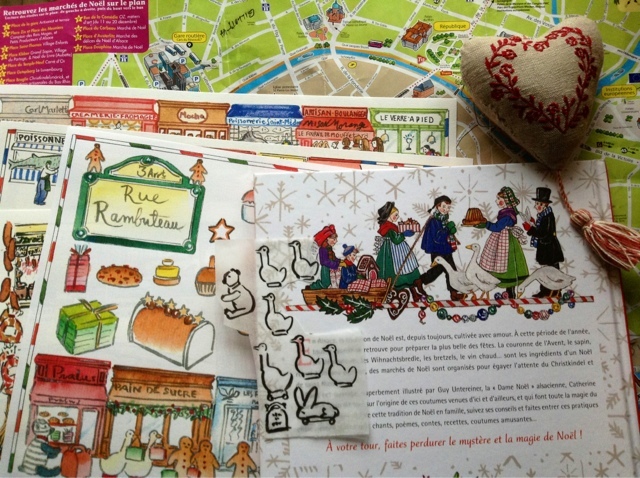 If you'd like the recent December map included in your 6-pack of Paris maps, just ask. There are ducks on it. 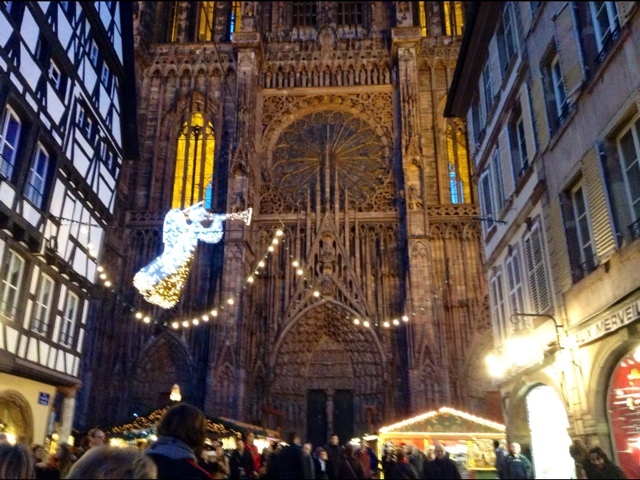 Do you want to see more Strasbourg? Let me know. I followed a blogger who lived there and I loved her beautiful posts..she no longer blogs..it's been years actually..but charming through and through..just like you are showing us..Love his decorations . Do you remember h er name? Just lovely. 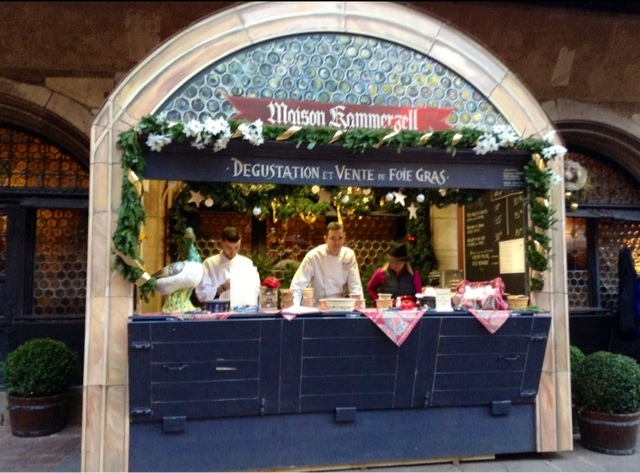 I was recently reading about this market ... How nice to be able to venture out into a different world! Merry Christmas! Yes, please do show us more of Strasbourg, dear Carol. 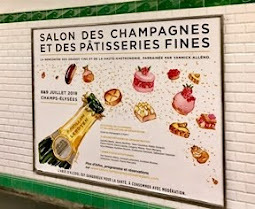 Every one of your posts is a gem, but when you take us just a little bit outside Paris to a smaller place with its own rich identity, I am even more enthralled. 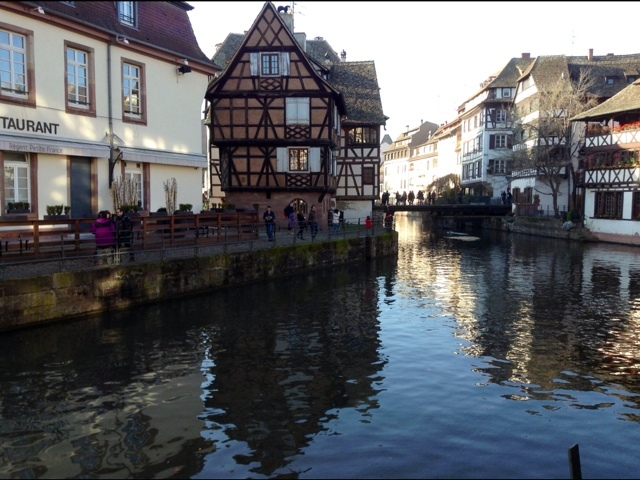 I really Loved Strasbourg...a lovely and whimsical place. 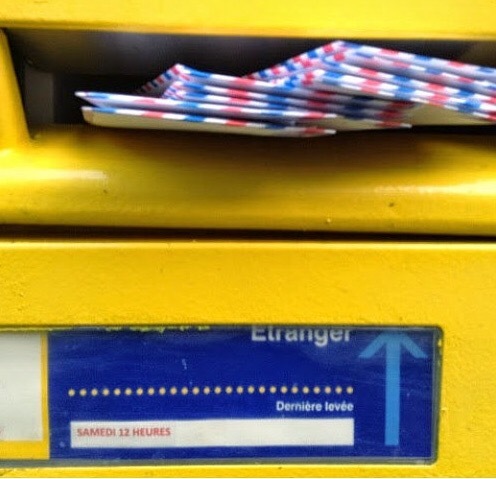 Carol, it has been decades since I was in Strasbourg. At the time my German was fluent and my French rusty and I kept mixing the two, which amused the people being spoken to, ha, ha. Of course, they all appeared to be comfortably bi-lingua and with their history they would be. 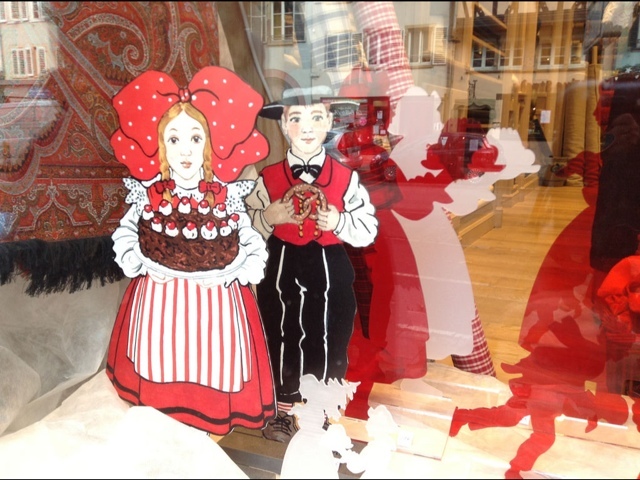 It is a magical town and even more so at Christmas I would imagine. Joyeux Noel et Bonne Annee Nouvelle to you and Bear. Merry Christmas, Carol! 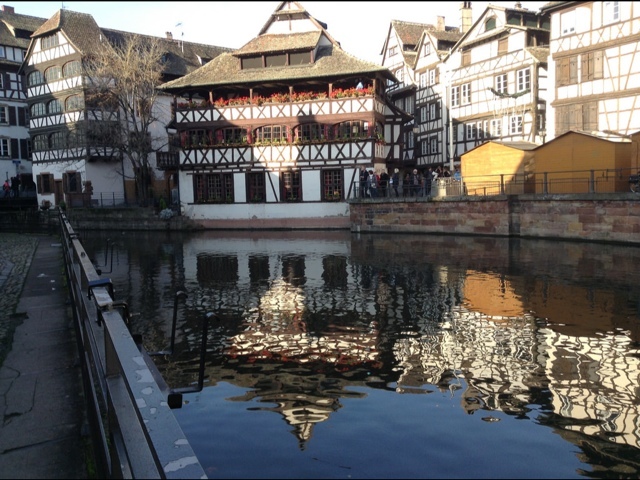 Yes, I'ed love to see more of Strasbourg! Your posts on S. make it look so inviting! ( as I know it is! ). 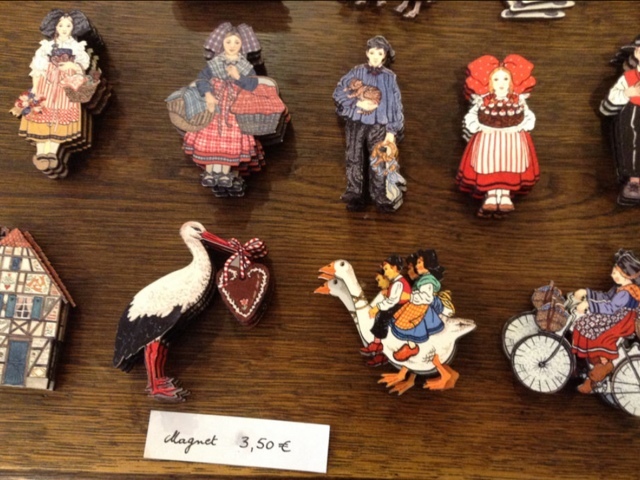 I just love these Strasbourg stories and photos. It's such a beautiful (and delicious) city. I remember taking the canal boats, floating around the city and thinking it was the perfect view to capture it all. I learned to make the wonderful Alsatian Tart Flambee and it has always been a great favorite. Thanks for taking us on your adventure! What a lovely town! I would love to visit there around Christmas one day. 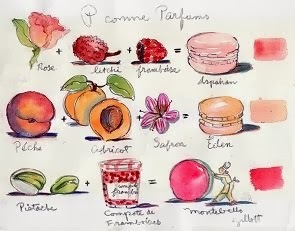 Thanks for sharing your visit, I love reading all your blog posts wherever you are in France! I'm so happy to see my father's work on your website. Thanks for your interest in my father's job.